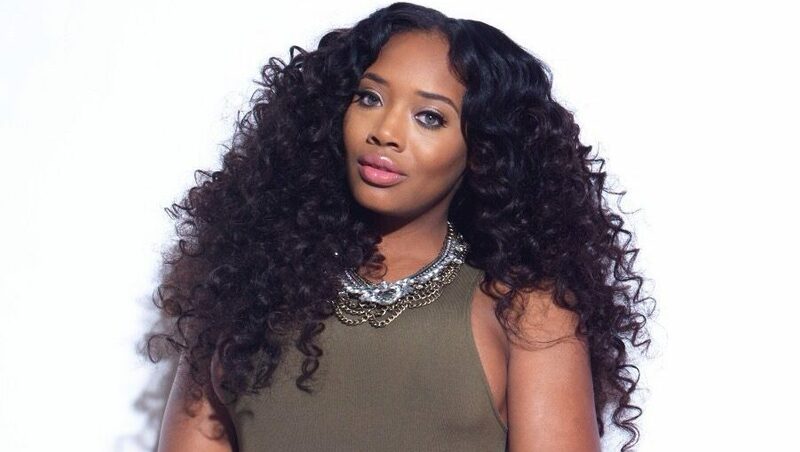 Read our interview with Yandy about her two latest life-changing projects. Tell us about OutlierZ and partnering with this fundraising platform for celebrities like you? I was approached by Wayne Anderson who’s the Executive Director of www.OutlierZ.Rocks and the creator for the fundraising platform that he’s provided for celebrities like myself. The global excursion campaign allows for my fan base to enter a chance contest by donating $10 to my charity, “Partners Uplifting our Daughters” a 501 (c)(3) foundation. Since it’s an opportunity based on chance, the more multiples of $10 that you enter, the better your odds are of winning. The campaign is run for several weeks and the proceeds go to the cost of the excursion along with the aid of sponsors that help support the financial cost of the campaign and our mission. The lucky winner is selected and announced at the completion of the campaign and the remaining proceeds benefits my foundation. The timing was perfect, as this opportunity provided a stream-lined approach to fund-raising and asked little of my time. That aspect was one of the many incentives that compelled myself and my team in doing the launch. Wayne and his team, mostly works with my in-house PR, as the platform combines a media marketing approach through my personal social feeds (IG, Facebook) and media opportunities like CEOMOM, which yields deeper attention to the campaign and my charity in the hope of it going viral. What can winners expect from the “Once in a Lifetime” excursion in Hawaii? This is an amazing opportunity for my fan base. The contest will end on 12/16 at 11:59 pm. The random winner will be selected on 12/17; the qualifying winner will then have the opportunity to bring a guest for an all expense paid trip that includes air travel and room accommodations to Hawaii. I’m constantly approached through my social media platforms for advice on a diverse range of topics. My followers are mostly women looking for advice and any kind of support that I can provide. The OutlierZ excursion concept allows a lucky fan, a once-in-a-lifetime opportunity to spend intimate time with me and the surprise “celebrity guests” that I’ll bring on the trip, the ability to ask me whatever they wish. It’s a lot of pressure but I’m also excited about sharing my experiences that will shed some light on my personal journey and how my start is not that different from theirs. Wayne and his team at OutlierZ will create content by recording the evening and provide footage through great storytelling- we’ll then share this through my social feed and as well, engage in live-streaming while there. It will be a memorable experience for both myself and the lucky winner. Tell us about “Partners Uplifting our Daughters.” What are some of your projects? The mission of “Partners Uplifting our Daughters” is to create community-based mentoring programs, which target middle-school and high school age girls, designed to promote the development of literacy and emotional wellness for young ladies of color. The program provides educational workshops, empowerment skills and a safe environment for the youth to process emotions and initiate healing from trauma related incidents, along with teaching them vital skills they’ll require as they transition to adulthood. Most of my projects are hands on as I make site visits to various locations where we have our programs. As an example, this past summer, I attended Towers High School where I provided 30 prom dresses to 30 high school girls. It’s demanding, but so rewarding knowing that your actions are impacting their future as we show these young women that we care. What advice would you give to a mom who wants to start her own non-profit organization or charitable initiative? This is a great question, as it’s one that I’m regularly asked. First, understand the commitment that the charity will need. Often overlooked is the direct time investment that an endeavor like this requires. I’m grateful to have a co-partner and an awesome team to help lighten the burden that I’d be challenged with, if not for that support. As well, know who it is that you’ll likely to affect and the positive benefits your mission will provide to those you’ll focus your attention. With “Partners Uplifting our Daughters”, our charity’s mission is to provide support to the middle school and high school girls through a safe and reliable ecosystem that provides a range of support from emotional wellness to intimate healing from life trauma events to guidance and an overall safe community in which they can rely. I’m a familiar and relatable face for them to both rely on and lean on, as these young women are faced with challenges in an environment that often lacks proper support and guidance by people who look like them. What can we expect from “Partners Uplifting our Daughters” in 2019? In 2019, our focus is to have more programs at scale. We’ve generated tremendous success in 2018. With platforms like www.OutlierZ.Rocks, editorial features with CEOMOM, and others spreading our great work, it’s been a blessing to be involved and as committed as we are in helping someone today so they can have a better tomorrow in 2019. Pingback: LHHNY Yandy Smith foster kids -- Who is Yandy's foster daughter Infinity?